Let’s face it. Mobiles are not always connected to the internet. You may be in a tube or a remote area where you have got some time on your hand and would like to take that training you have been putting off for some time. Or, if you live in a part of the world where the data transfer is expensive through 3g/4g, you may not want to access your heavy course using your data connection. In either scenario, our LMS provides the optimum solution. You can decide and download your SCORM course on your phone for future reference using wi-fi and go offline to take the course. 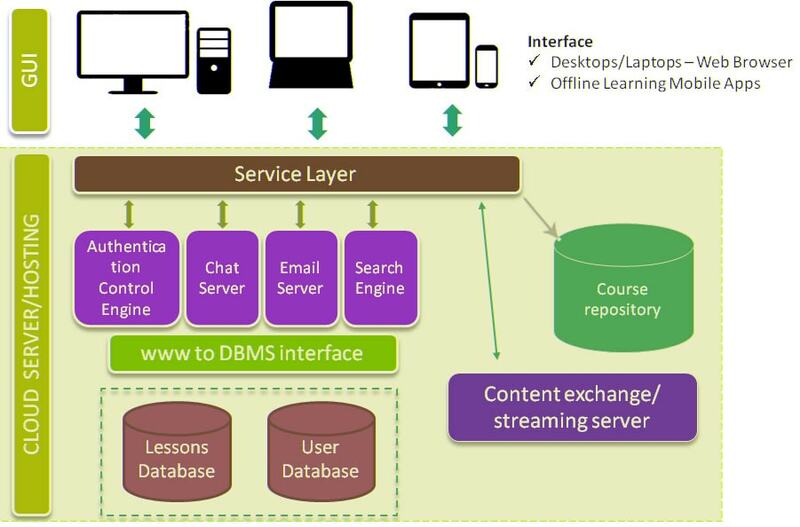 The mobile LMS keeps track of the user activity in offline mode and uploads the usage data online when connected. Intellock LMS is a hybrid learning management system that can work both in online as well as offline mode. With extensive list of features available to choose from, the LMS is well suited for corporates as well as educational institutions. The LMS supports SCORM 1.2 and keeps the course completely secure by applying the DRM and thus eliminating any possibility of unauthorized redistribution or sharing of the precious content. Let the learners opt their courses on their mobile phones while offline and then get synced with the mobile learning system. Assist learning even in rural areas with less or no internet connectivity. 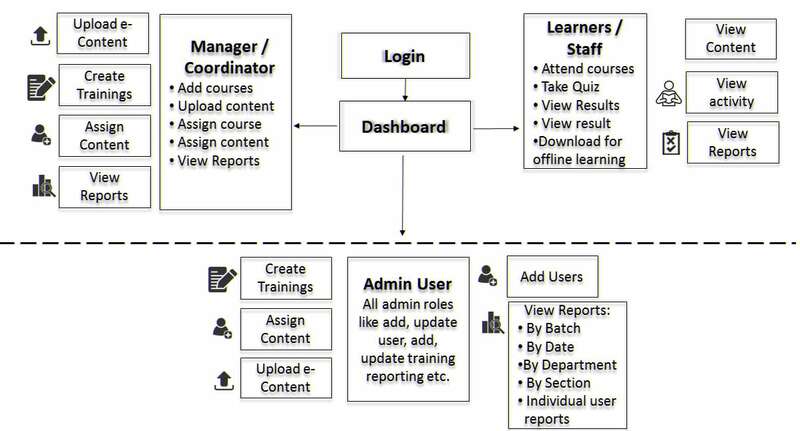 Below depiction provides overview of the learner’s journey on the mobile app. The apps is available to users via Play Store (Android). Registration continues to be managed by the LMS. The users are able to login on the LMS by using the same username and password credentials as used in LMS which are provided by the administrator on their registered email id. Requisite basic course reports are displayed on the My Reports section of the mobile app. The reports are only available to logged-in users. The mobile apps is integrated with the organization LMS for utilizing requisite functionalities. The users are able to sync/download courses and reports once the device gets connectivity. If the organization does not have existing online LMS, we can provide the same as well along with the offline solution. © 2017 Intellock. All rights reserved.